Kenya is one of Africa’s most iconic vacation destinations, boasting an incredible diversity of landscapes, cultures, wildlife and people. From the world famous Maasai Mara National Reserve, to some of the continent’s most pristine lakes and beaches, Kenya really does have something for everyone. In August 2018 we began working with Kenya Tourism Board on a global campaign, designed to help promote Kenya and raise awareness of this incredible destination among travelers from all over the world. Come Live the Magic, is a wide-reaching campaign that uses a broad mix of display advertising, along with various other traffic drivers, to promote the destination in 12 international markets. As part of this wider promotional strategy, our in-house creative agency, Creative Partnerships, developed an incredible launch campaign, Can You Kenya? 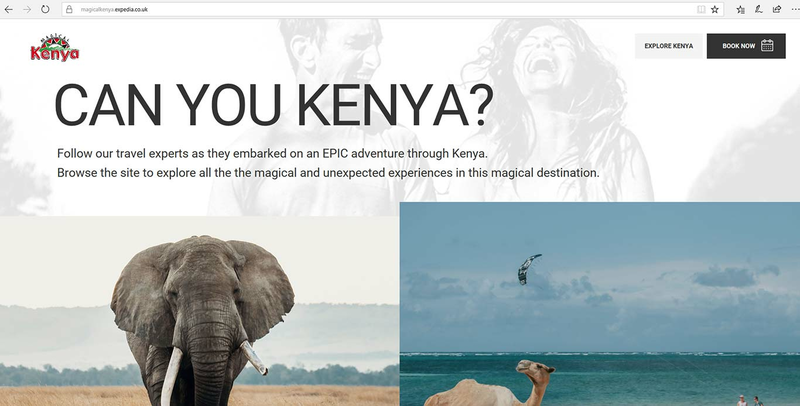 This campaign focused on travelers from Australia, Canada, South Africa, U.S. and U.K., encouraging them to interact with Kenya’s greatest assets through a dedicated content microsite. Visitors to the site could explore Kenya and learn about the experiences, culture and cuisine of the country, or even book travel through a travel partner page on their local Expedia website. We worked with leading travel blogging couple, @Howfarfromhome, sending them on a week-long trip to Kenya with no fixed itinerary and leaving it up to their audience to choose where they went and what they did. Every day, the audience could decide on their itinerary by voting via an Instagram Stories poll. As an added incentive, voters in the daily polls were entered into a draw to win a return ticket to Kenya for the winner and a friend. The polls asked viewers to choose between amazing experiences such as a hot air balloon safari over the Maasi Mara or a kitesurfing lesson on the beach. The selected activities all showcased the breadth of experiences on offer across Kenya, ranging from sunset yoga in a treehouse, to a once in a lifetime visit to an elephant sanctuary. Throughout the week-long campaign, all content from @Howfarfromhome’s journey through Kenya was broadcasted to their 169,000 followers via Instagram Stories. This content was also repurposed on the Can You Kenya? microsite, which included a recap video of the couple’s whole adventure. Can You Kenya? was a huge success, notching up more than 15,000 Instagram Story competition entries via the polls, generated over 2,100,000 impressions, along with a host of positive comments during the campaign period. In addition, the microsite saw over 90,000 visits from unique users all five markets targeted. You can also see how we work with other destination marketing organizations by checking out our success stories. 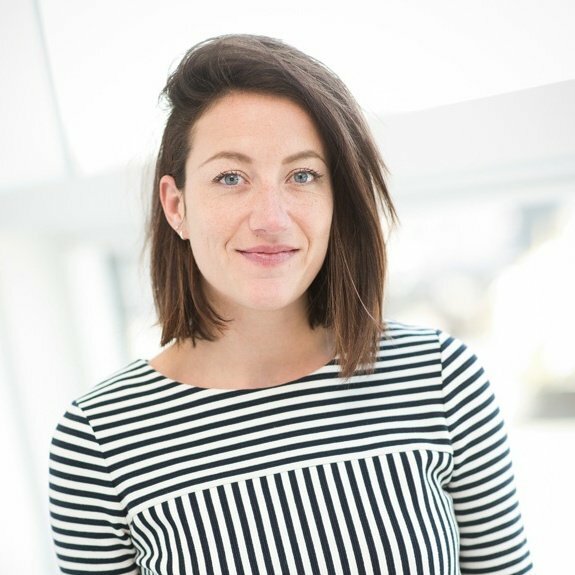 Angelique Miller is the director of brand and marketing partnerships at Expedia Group Media Solutions, where she is responsible for leading creative advertising partnerships and implementing global marketing campaigns. Angelique has designed and executed innovative media campaigns that have won top honors and accolades from the travel and digital media industries. Prior to joining Expedia, Angelique was director of sales and creative solutions at ESPN, working with a wide variety of blue chip brands across several verticals including auto, travel, finance, luxury retail and entertainment.